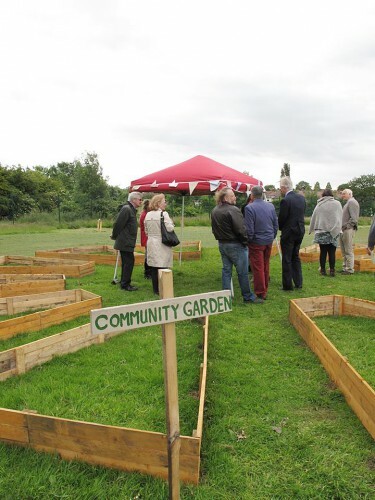 On Monday 22 June Bridge Community Farms in Ellesmere Port brought together its local community to celebrate the inception of its sustainable farm initiative. This great project aims to build a bridge between different sectors of its community and get them all working together for the common good. 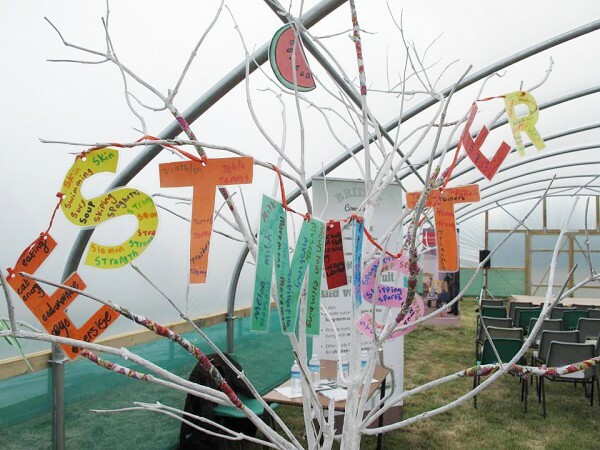 The idea is to offer permanent job opportunities to the long-term unemployed, and a therapeutic environment for people with mental health problems and disabilities. They will grow and sell fruit, vegetables, salads and herbs to the local community. There are also study facilities for children and young people to learn horticulture, food preparation and basic business skills. The project’s start up costs have been entirely covered by donations from local businesses and individuals and all profits will be invested back into the farm. 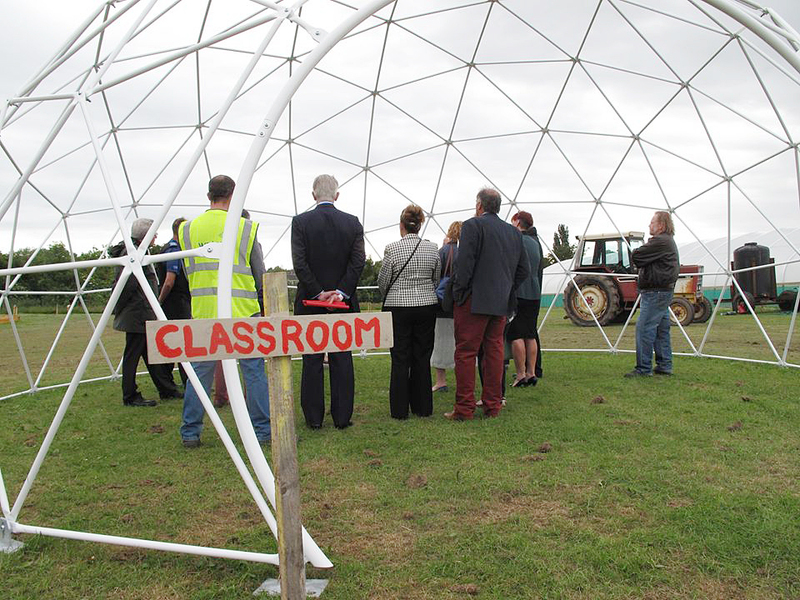 Visitors were given a guided tour of the site, including the farm’s three poly-tunnels, raised bed area, eco-dome and Forest school. 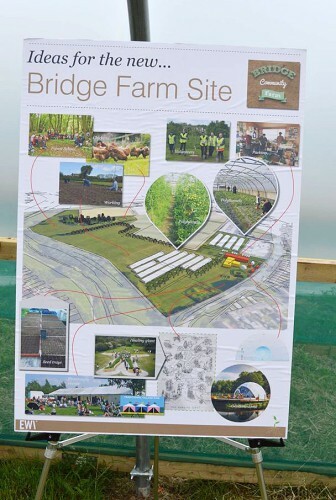 Farm volunteers gave presentations to guests to highlight future plans for the farm, including a weekly fruit and veg scheme, a mental health and learning disability programme and outdoor study programmes. The farm has already made steps towards creating employment opportunities. Josh Thornton, 29, is one of the first to experience its benefits. 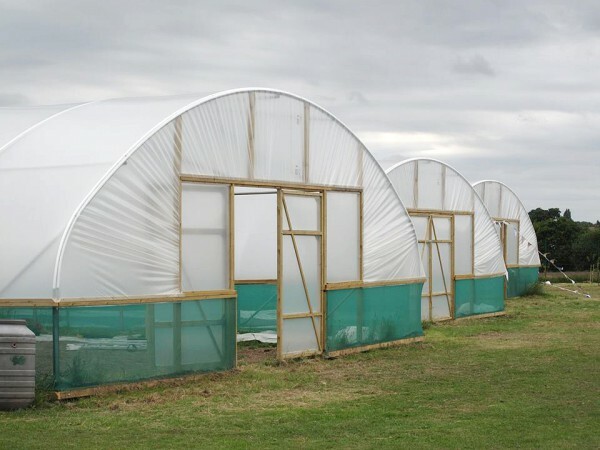 He joined Bridge Community Farms earlier this year having been unemployed for almost a year.